Determined to find out the truth behind the kidnapping of the President on Midway Island, a prominent U.S. Senator has enlisted the help of Cal “Spectre” Martin and Special Agent Michelle Decker. 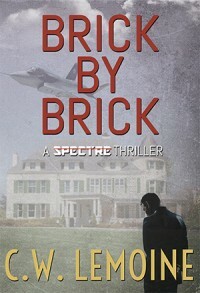 But when an F-35 crash hits close to home for the Senator, Spectre and Decker are redirected to investigate. As Spectre begins to peel back the layers of the mishap, a bomb is detonated on base and Spectre is the only suspect. With Spectre in jail and people on the inside trying to kill him, Decker finds herself in a race against time – to uncover the truth, prove Spectre’s innocence, and take down the man responsible before it’s too late. As the truth is uncovered, Spectre and Decker must fight to bring down the man’s organization and bury him in the rubble – brick by brick.